Today is Earth Day. A day dedicated to bringing conversations about the environment to the forefront. Nearly 200 countries will honor the 44th anniversary of Earth Day, yet Dallas is anticipating to claim the largest Earth Day event this weekend. The North Texas Commission and the new Clean Air Texas Initiative partner with Earth Day Texas 2014 for an engaging conversation about business and sustainability with notable North Texas business leaders Garrett Boone, Thomas E. Meurer, Tom Pedersen and Norma Rosowski. Cheryl Hall of the Dallas Morning News will moderate and lunch will be catered by Wolfgang Puck. Registration to attend the luncheon in the Studio Theatre at the Wyly Theatre is open to all at no charge. What better way to celebrate Earth Day than exploring the nature in your city? The Trinity Trust is doing just that with its Trails & Ales event, and topping it off with cold beer, crisp wine and tasty bites. Meet under the historic Margaret Hunt Hill Bridge at 6:00 p.m. sharp and be ready to set foot on the new Trinity Skyline Trail. RSVP is required. Formerly known as Earth Day Dallas, Earth Day Texas (EDTx) was a small street fair with less than 300 exhibitors. Now, it's a two-day, all-day event from at Fair Park and expected to be the largest Earth Day event. Trammel S. Crow, founder of EDTx, told the Dallas Morning News that he's expecting more than 65,000 people to attend this year. Over 800 booths will be on site in addition to art and photography exhibits, lectures, demonstrations, live music from The Polyphonic Spree and more. Perhaps Museum Tower residents would rather enjoy a private celebration of Earth Day. 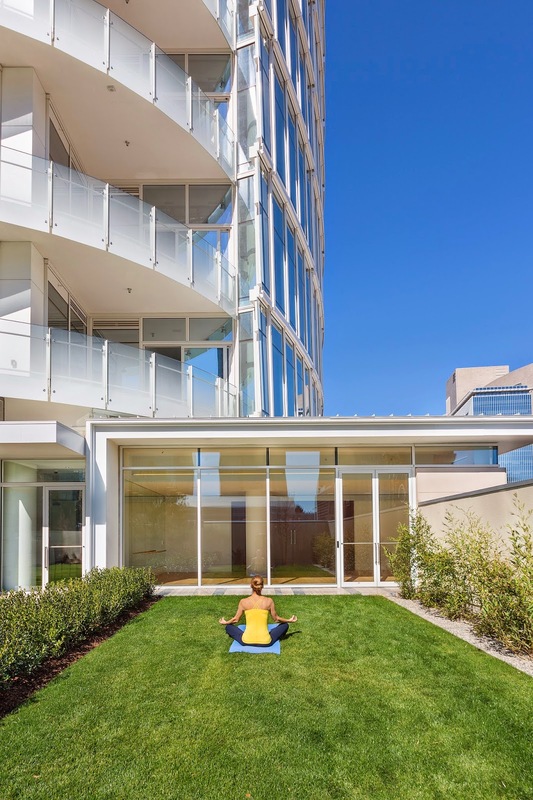 Museum Tower has its own green space for residents to privately enjoy. From the Terrace Lounge or the private Zen garden, residents can reflect on Earth Day without even leaving the high rise. Residents are encouraged to contact the attentive concierge for any special accommodations.